Michelle DesPres of Fort Collins, CO is a certified clairvoyant medium from the Berkeley Institute, coach of 13 years, speaker, teacher and author of The Clairvoyant Path and Intuitively You. "I couldn’t remember who I was outside of the expectations others held of me." The turning point in my life came many years ago, when I was struggling in my life. My marriage was failing, my career was unfulfilling and I couldn’t remember who I was outside of the expectations others held of me. Then one day, while at home and in a moment of sadness and tears, from out of nowhere the voice of a woman said to me, “Fret not, everything will be fine.” I spun around expecting to see a stranger in my house but I was alone. I laughed at myself with the thought that I’d gone crazy and was hearing voices. Yet the voice wasn’t inside my head. She was outside of me speaking telepathically and projecting her thoughts to me. More importantly, her words were soothing and comforting and rather than feeling fearful, I was filled with hope for the first time in a long time. It was then my journey began. I knew that until I understood who the voice was and why she was speaking to me, nothing in my life would make sense. My quest for answers led me to a school in Denver that taught Lewis Bostwick’s Berkeley clairvoyant program. It was during my intuitive training that I learn that the voice of the woman belonged to one of my spirit guides, an energy appointed to consult and assist me on my life’s journey. As I learned to intuitively interact with her, and other energies, I reconnected to my own spirit and life finally began to make sense and feel worthwhile in ways greater than I ever imagined possible. Living intuitively taught me who I was, why I was, and what my life’s purpose could be. It not only allowed me to transcend my past wounds, unhealthy life patterns and self-destructive tendencies, but it taught me how to transform my strife into ease, love and acceptance. Everything happens in cycles – the universe was built in cycles as this is what creates perpetual motion which allows for expansion. As energy beings, we too have a cycle and rhythm to our personal growth just like a tree or any organic matter. For example, if your personal cycle is focused on deepening your ability to love, you might be experiencing a new relationship or the need for greater tolerance in an established relationship or even the need to love yourself enough to leave a toxic relationship. As you learn to apply more love to the situation, you expand into greater love completing the cycle and moving you on to the next. Yet, this is where it gets tricky. You are not only cycling through your personal points of growth, you are also cycling through the collective cycles of growth. For example, if you look at the cycle of growth that humanity has been in for the past 2,000 years, you see that the cycle has been about war, death, destruction, chaos, and disregard for diversity in being. While it may not have been fun, you couldn’t change the cycle of time you could only expand your knowledge of what these behaviors create. Thankfully, as the Mayan depicted, in 2012 humanity’s cycle shifted. No longer are we in the cycle of devolution, we are now in the cycle of evolution. Even better, with all new cycles comes a new way of thinking and our new way of thinking requires using our intuition – a skill held back from us during the previous cycle that should we access now changes the entire game. Intuition is the key. In the past, we used our lower thoughts to create our reality. Today, the cycle allows us to perceive intuitively so we can create from our higher thoughts and beliefs and in so doing shift the world into the era of acceptance, cooperation, sustainability and holistic being. This is why I believe it’s important that every person learn the science of their intuition and how to follow their personal intuitive rhythms. It’s time for change. The last several years have been a moving out of the past cycle and into the new cycle. As a result, everyone is facing tremendous re-evaluation in their lives. Relationships, careers, personal patterns and health are all under scrutiny and will be for likely the next three to five years. If these areas of your life don’t match your higher ideals (regardless of how comfortable you’ve become in the past), you will experience upheaval until you create circumstances that adhere to what your heart and higher mind truly desire. 2018 is be a continuation of this process. However, I do believe this is the year we can really gain ground toward creating true change. I’d watch for revolutionary ideas that create peaceful solutions to our social, philosophical, political and economic life issues this year and in the years to come. Most of my clients see me and a traditional psychotherapist. However, what I always hear is that intuitive therapy offers the breakthroughs that talk therapy does not. I believe the reason is two-fold. First, I’m validating something deeper in my clients that they cannot express for themselves. In that sense, I’m not telling them something they don’t already know however when I give words to where their feelings truly come from, instantly they understand and are empowered with a type of knowledge that transcends the mere reality of today allowing them to move beyond their debilitating life issues. Yet, I wouldn’t say that intuitive knowledge makes life easier it makes it more understandable and therefore less difficult or painful. Secondly, and most importantly, intuitive therapy breeds personal responsibility. What I mean is that instead of perceiving life from the point of victim, intuitives perceive life from the point of creator. Each soul designs its unique experience and is therefore the creator of all its difficulties as a means of growth and evolution. When I help a client understand why they created their unique circumstances and how to grow from them, they are forever changed. Intuitive therapy is powerful and is quickly being recognized as such today as people are ready for true change and not just to talk and no walk. I’ll never forget the time my intuition led me toward what I thought would be a great relationship only to find it was anything but worthy of me. I thought I was following my intuition into the romance of my life but really it just led me to a short-lived and one-sided encounter with a man who only wanted to take from me and give nothing back. I couldn’t believe it! How could my intuition lead me astray? However, that’s when my spirit guides spoke up and I learned a valuable lesson about trusting my intuition. Intuition is not always going to lead you toward your highest hopes. It will however take you in the direction you need to go in order to get to your highest hopes and sometimes that means going to experience that are not fun but are exceptionally educationally and life changing. I once let my intuition make an import decision for me and it took me down a painful path. However, I learned one of the greatest lessons of my life in that short period that would allow me to hold my independence in the love I have today. What I’ve learned is that my intuition is always working on my behalf no matter what experience I’m having. There is always purpose and growth and my intuition teaches me both. There is so much I enjoy about my business. I love working for myself, setting my own scheduling and living life on my terms. I also love making a difference, seeing my clients leave with a bright smile and hope on their faces. I just want everyone to be happy! But mostly, I want to the world to be a better place for the generations to come and I feel my work is assisting in that effort. Peace, love and prosperity are possible for all and I want that for my grandchildren and their grandchildren. Teaching, speaking and working with my clients allows me to empower people to create greater change in the world. Since intuition is the key to balancing all aspects of our lives, I teach many classes focusing on money, health, relationships, career, and self. My classes always include lively discussions about the topic, guided meditations for setting energy and space, and guided intuitive explorations in which students seek personal information as well as seeking intuitive information for those in the group and sharing their discoveries. My classes can be taught to both beginner and advanced students. You don’t have to have prior experience to come to class. Intuition is easy to work with and new students are up and running within the hour. This is unique in my industry but also something I felt was necessary. People don’t’ have a lot of time to spend toiling over something and I find getting them to use their intuition quickly is the best way for them to start learning the countless nuances of this intricate skill. While I assume the role of teacher and expert, I do not assume the role of authority. In my classes, every student is their own authority. I think this is what sets my classes apart from other intuitive development ideals. Yes, I’m exceptionally knowledgeable but we all have access to the same universal wisdom and I teach my students how to gain their own understanding. I also believe in ethics within the intuitive community and wrote the Intuitive Ethical Standards as a means of establishing guidelines for what is a largely untrained field. want to learn the ethics of, and gain greater control over, their core instincts so they can be recognized as thought leaders creating positive change. When I’m not working, I enjoy being with the people I love, being outdoors, cooking, playing guitar and going to the movies. I also like times when I’m alone and get to be with myself. Transformation is not always easy but in the long run great things are establishing. If you trust in what needs to happen now, the future is actually shaping up to be brilliant. If you want the really big picture, astronomically, the earth and her inhabitants are shifting out of what equates to a 26,000 year cycle of decline and degradation and into a 26,000 year cycle of higher being and sustainable living. We are at the beginning of what is a wondrous future. The changes you are facing are necessary for leaving behind the past and entering into the new. It will be better. Michelle’s intuitive classes are a fun, insightful way to meet other like-minded spiritual seekers and to access universal knowledge. Classes are regularly scheduled for every Tuesday evening from 6 p.m. – 8 p.m. at Michelle’s office at 3938 John F Kennedy Parkway in Fort Collins. A great class to start at would be: Meet a Spirit Guide class on January 23. Michelle will guide you into meditation and group sessions where you will access one or more of your spirit guides. New people come all the time, no experience is necessary and registration is necessary – just simply show up! Read Michelle’s first book, "The Clairvoyant Path," and “discover how to access inner wisdom, higher dimensions of the self, and the power to change reality―all by using your innate clairvoyance and intuition.” Order it online here. New client intake, personalized life-strategy and solutions session addressing your unique areas of concern. Returning client continued life-strategy and solutions session to keep you on track with all your life issues and personal development goals. For anyone wanting to focus on connecting to the passed away. For when you want to gather friends for an enlightened event of laughter, empowerment and connection. Contact Michelle online here or by phone at (970) 567-0118 to schedule. Want to be featured as the next entrepreneur? 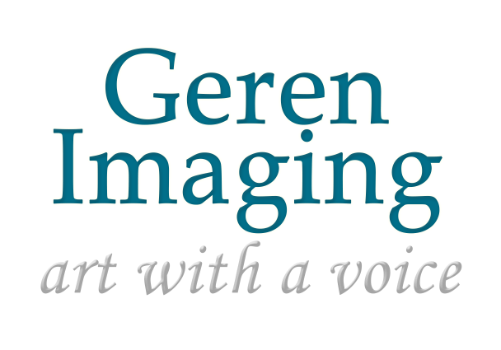 All of Geren Imaging's featured entrepreneurs have been contacted by at least one or several people for their services.